"What I Deserve". Quinn rides with Debra in an ambulance to the hospital. 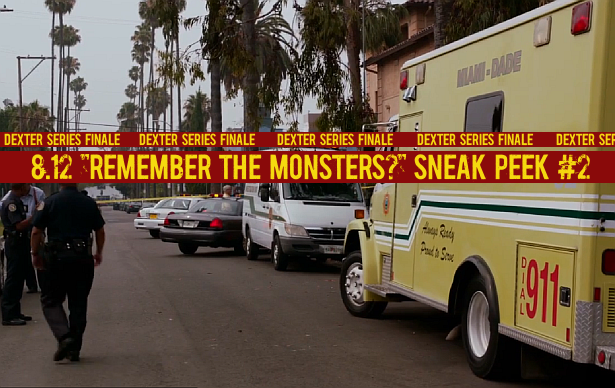 Watch after the jump, the second sneak peek clip from this Sunday's final episode of Dexter, 8.12 "Remember the Monsters? "!